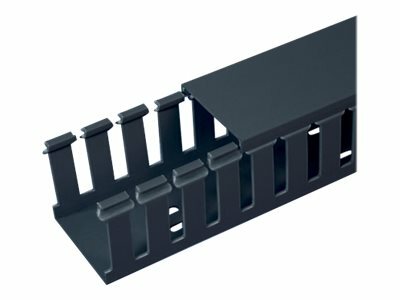 Panduct type G wide slot wiring duct, 6 W x 4 H, 6' length, PVC. Wide finger and slot design provides greater rigidity and allows use with a wide range of wire and bundle sizes. Upper and lower score lines allows easy finger and sidewall section removals.